Much to the delight of fans, Miguel has released his highly anticipated fourth studio album, War & Leisure. As fans digest the project, which officially dropped this past Friday (Dec. 1), many are pointing out how the collection of work is one of the singer's most politically-charged albums to date. During a new interview with MTV News, Miguel explains that while several references in support of Colin Kaepernick were woven into the project, they weren't necessarily planned or intentional. 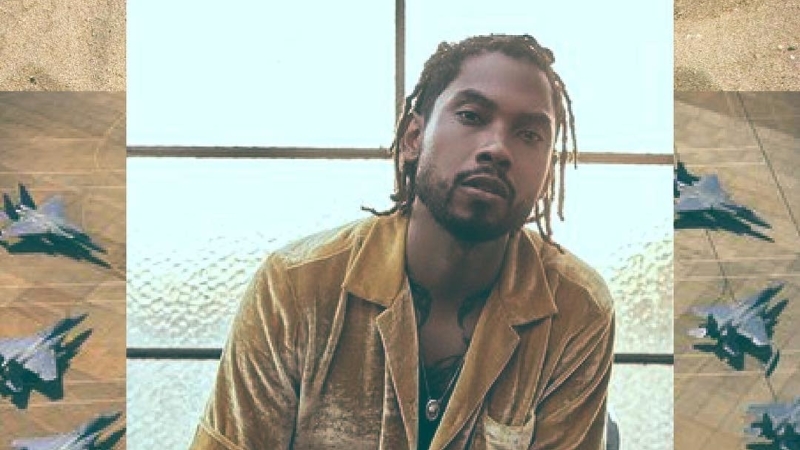 The first, which was made by J. Cole on "Come Through and Chill," and the second, made by Rick Ross on "Criminal," were an organic part of the creative process, with Miguel explaining how those with a platform simply cannot ignore current events. "It wasn't that we had a moment and I was like, 'Man, let's bring in these current events' or anything like that," he said, speaking with MTV News. "I think this is just what's on our mind. It's hard not to address the things that we're seeing at this point. We're just at a place where we can't ignore it anymore." He then goes on to say that J. Cole and Rick Ross are two examples of artist who are consciously aware of both the cultural impact they have with their audiences and the responsibility that comes along with that. "I look at Ross and Cole and anyone who's got any bit of attention — especially when they take these moments and use them as opportunities to bring light to things that they feel are important — I look at them as leaders," Miguel elaborated. "I feel like I'm a leader in this way; I'm guilty by association. So Ross's own subconscious, how he's feeling, informed him on what to say on that verse. And that's why I think it's a special verse, because we rarely hear Ross on that page." He then goes on to further show love to Kaep, something that artists such as JAY-Z, Sean "Diddy" Combs, Joyner Lucas and more have all recently echoed as well. "You know, Kaepernick is a hero," Miguel added. "He's a hero. And still hasn't got his just due. We all feel that and we know that. I think as leaders, we celebrate other leaders. This was an opportunity to do it, and they both did it incredibly." See Miguel's recent sit-down with MTV News in full here and be sure to check out his new project.